Empowerment through Technology: How do we get there? The diabetes technology and digital space is booming and nowhere was this more clear than at the American Diabetes Association's Scientific Sessions held this past June in San Diego. From the exhibit hall and poster sessions to the buzz in the hallway, you couldn't walk 10 feet without seeing something about diabetes technology. As I listened to what people are saying about technology, I heard a lot of buzzwords and phrases like 'engagement', 'make life with diabetes easier' and 'empowerment'. It's true and really exciting. If designed and delivered well, digital health and technology can empower people in their own self-care. But we have to be careful to make sure these technologies empower people to make healthy choices in their diabetes management and not become disengaged from the link between their behavior and their health. Empowerment means the process of becoming stronger and more confident, especially in controlling one's life. It's the ability to be mindful and make healthy choices and having the tools and skills needed to act on these choices. Technologies help empower people with diabetes in many ways, especially by giving them data, tools and support, which can be used to increase motivation to be active in their health. For example, seeing diabetes data can clearly show you the impact that some of your decisions have on your blood sugar, like if you drink a regular soda, it will make your blood sugar go up. Digital health can give people with diabetes tools and teach them skills they can use to actually change their behavior. These technologies also increase access to the support that's essential to helping people make changes. Having a choice by definition means there is more than one path you can take. Empowering people to make a healthy choice with diabetes doesn't necessarily make the choice easy, rather it helps them make the healthy choice even though it may not be easy. I'll be honest here. Some of the ways that people were talking about technology at ADA made me a little nervous. For example, some folks were describing closed loop and artificial pancreas systems as technologies that will completely automate diabetes management, meaning people who use them won't ever have to think about diabetes. 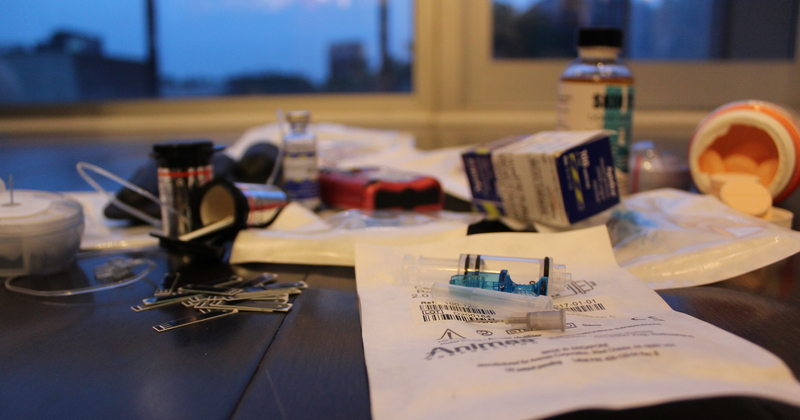 These tools promise to make diabetes easier and lighten some of the load that people with diabetes have to carry. We are doing ourselves a great disservice if we let technology, or our expectations of it, disempower us. Diabetes is a serious condition and living a healthy lifestyle, including taking insulin and other medications as prescribed, is at the center of good diabetes management. We are fooling ourselves if we believe that managing diabetes doesn't take hard work. We are not doing ourselves any good if we believe that technology can make hard work unnecessary. If we aren't careful in the way we talk about and use diabetes technology and digital health tools, we run the risk of becoming disempowered. Empowerment doesn't mean easy or mindless, rather it means strong and mindful. Empowerment means that when you are faced with a decision, you have the tools you need to make a healthy one, as opposed to making an easy (and often unhealthy) choice and letting technology cover for you. So, what does empowerment through technology look like? At One Drop, we truly believe that empowering people in their health is the key to diabetes management. Everything that we do gives people the tools they need to become more mindful, motivated and empowered to manage diabetes well. No matter what technology we use to manage diabetes, whether it's a closed-loop artificial pancreas system or just an insulin pen/pills, we should always be mindful of the impact our behaviors have on our health outcomes. We know that diabetes management takes focus and hard work, and we know this isn't always easy. We're committed to giving people the information, tools and support they need to lean into this hard work and be successful because that is the only way we'll have a lasting impact our health. Any other way is just a band-aid on a broken bone.